Do you know that almost every plant in the planet has health benefits in some way or the other? By plants, we don’t mean cabbages and kale alone. Nor do we mean the ones you are so used to every day such as potatoes, tomatoes, beans, carrots, green and leafy vegetables, herbs and such like. There are grasses too, or shoots like bamboo shoots. Well, what is there about lemongrass that makes it almost, believe it or not, magical? Let’s know why. Lemongrass is an aromatic plant of the family Poaceae – grass family. The species belongs to the genus Cymbopogon, and bears the scientific name Cymbopogon citratus. The amazing thing about this grass is the variety of uses it has. Its versatility carries its usefulness to a host of domains: culinary, medicinal, cosmetic and disinfectant. There are over 50 other species of Cymbopogon. Another famous name is C. Nardus, a close cousin of C.citratus, which gives us Citronella oil. Lemongrass is a tall perennial herb that can grow over 2 meters in height. It gives out a pleasant, lemony smell wherever it grows. Its culm is stout and erect; leaves are long and linear, tapering upwards along the margins to a sharp tip. It thrives in tropical and sub-tropical climates of Asia and Africa. It is also found in South America and Australia. 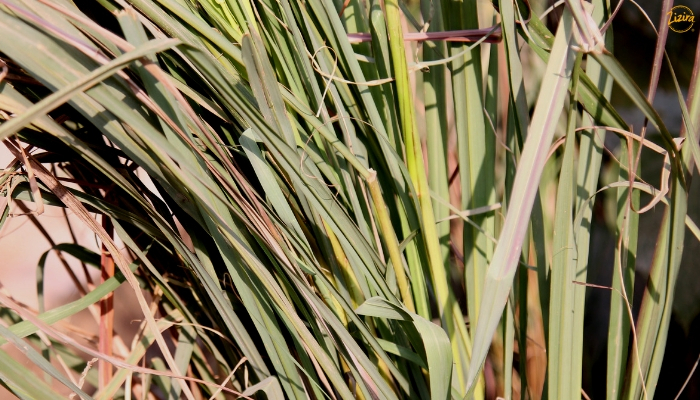 India is the world’s highest producer of lemongrass. In this country it grows best in the Western Ghats, Sikkim, Assam, Arunachal Pradesh, Nagaland and Meghalaya. 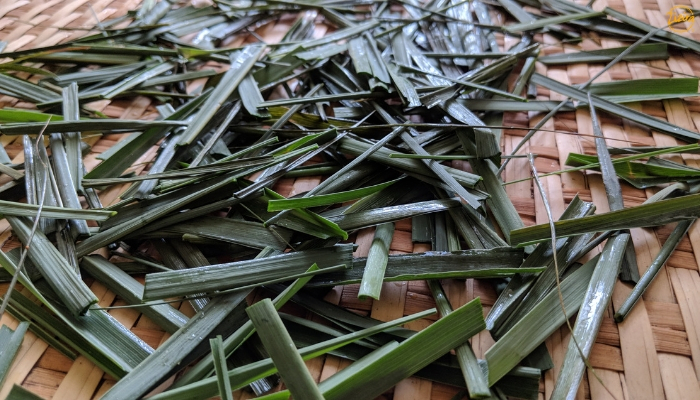 Lemongrass finds wide culinary use in most kitchens of the Asian subcontinent. It flavors foods in various ways, especially in China and South and Far East Asia. One principal component of lemongrass is its essential oil, Citral. Lemongrass isn’t particularly generous with its yield. A ton of the grass produces at the most 80 liters of Citral, that too if the plant is of high oil-yielding variety. To get a ton of harvest the farmer needs at least an acre of land. Break a leaf and a refreshing scent, sweet and pungent like that of a lemon, fills the air. That aroma is Citral’s. This oil is a useful ingredient in soaps and detergents. It is an efficacious component in floor cleaners, cosmetics, perfumes and mosquito repellents. In aromatherapy the oil is excellent. Its fragrance permeates the environs and the senses, enhancing the mood, creating a deep sense of serenity. As a medicinal ingredient its efficacy is proven beyond doubt. Lemongrass is famous for its tremendous health benefits since ancient times across societies. Indian and Chinese Traditional Medicine practitioners discovered long ago that it imparts health and well-being. Ayurvedic healers use it for its antiseptic, anti fungal, astringent and myriad properties. Usually dried and powdered leaves are utilized in combination with black pepper powder. This creates an effective, more potent remedy. With this, they treat problems such as menstrual cramps and irregular periods. The remedy helps cure weak digestion, repair torn ligaments, dispel fever, nausea and infectious diseases. 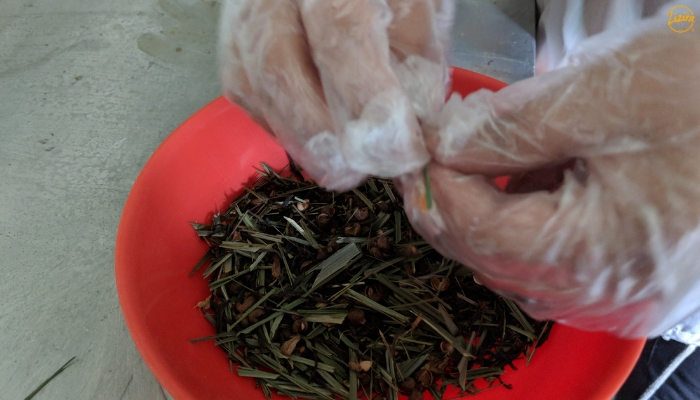 Chinese traditional healers use it to treat headaches, colds and fevers. They also use it as a cure for rheumatism and stomach problems. In Brazil, healers use it for muscle cramps, to calm minds and relieve fatigue. In the Philippines, they use it to cure digestive problems, fungal problems, and athlete’s foot. One research discovered another essential oil component of lemongrass, Citronellol. This component exhibited properties that control blood pressure. The studies also proved the presence of anti-oxidant, anti-microbial and anti-fungal properties. Yet another finding strongly indicated lemongrass’s anti-inflammatory and antifungal potential. In skin treatment, it prevented acute inflammatory conditions. The vapors of lemongrass can also act as decontaminants of the air in hospitals and homes. Essential oil extracts always come in concentrated form. Therefore users must blend them with carrier oils such as coconut, olive, almond, castor or jojoba. However, some people may be allergic to lemongrass essential oil. It’s wise therefore to follow the instructions before applying. In any case, a patch test is a must before trying it on the face or skin. In tropical and sub-tropical regions of India and South East Asia where lemongrass originated it is widely cultivated. In India, farmers grow it on a commercial scale for it culinary and medicinal importance. A few enterprising people have discovered the vast economic value of this grass. They have taken to its cultivation seriously with great success. Well, every one of us can’t become or need to become lemongrass farmers. But we can at least grow some tufts in pots. Question is how to do that? Easy, we can start by looking around in nurseries, or online, for seedlings or seeds. Or, perhaps some farmer friends can give us a tuft or two. We’ll discover raising a plant of lemongrass around the home and garden is a fantastic idea. That will radiate a pleasant and refreshing aroma around the environs. It will also repel unwanted vermin. The perfect place to plant is in high traffic zones. Target places like the sides of the front and back house entrances. Pinpoint strategic spots in gardens, balconies, and terraces where people usually gravitate to. Taking care of lemongrass isn’t tough either. The plant is a hardy specimen and grows just about anywhere (though too much cold will not do). Ensure it gets a fair amount of sunshine. Feed it periodically with good, DIY organic manure, and water it regularly. Soon you’ll bless your home with a grass that repels bugs, mosquitoes and snakes, disinfects the house, spreads fragrance around, cures diseases, adds zing to your favorite dishes — powerful grass, isn’t it? If that’s not magical then what is? Choose any kind: fresh, dried or powdered leaves. Fresh lemongrass is a little woody and fibrous. Fresh leaves may thus need chopping into smaller pieces or minced, to make it easier to eat. Else, remove the larger pieces before serving. Add to soups, broths, stews, vegetables, roasts, curries and marinades. The lemony, pungent essence will blend with any food. The herbaceous and floral hint will complement it. Lemongrass will lend that special zest and flavour that is so hard to resist. Exploit lemongrass’s versatility in drinks. Put some in your everyday teas to create a lemony decoction. 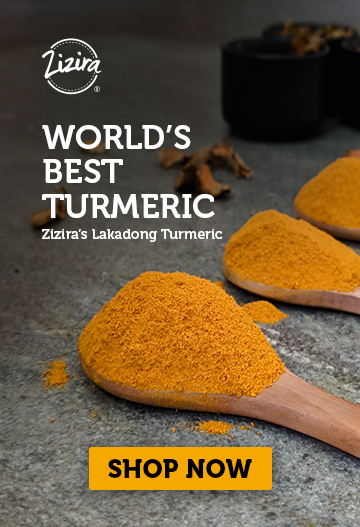 And if you add to that ginger, cinnamon, turmeric or other herbs you get health confirming masala chai or detox blend that goes a long way to make your day! Lemongrass essential oil is also a useful item to keep in the house. A bottle is a handy buy, easy to obtain in many medicine shops. You may contact us too if you like, and then you’ll also get to know more about us. We’d be delighted to answer your queries. Here’s our website.